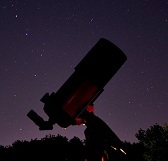 Image credit & copyright: Dave Morrow. This beautiful Milky Way image by Dave Morrow takes place at a location that I truly hope to visit someday, Crater Lake, Oregon. Formerly Mount Mazama, it erupted about 7700 years ago creating the beautiful vista seen today. Its crater in total is 2148 ft. deep (Though filled to a maximum of 1943 ft. with water), and about 6 miles long at its longest. An interesting fact is that there are no rivers in or out of the caldera lake and its estimated that its water comes only from snow melt and precipitation while the rate of evaporation takes about 250 years to fully evaporate all the water out of the lake. While evaporation takes place, new water is being rained, snowed and melted in to create a fresh supply. 2 small islands break the water’s surface, “Wizard Island” (The prominent cinder cone island) and “Phantom Ship”. Another interesting feature is the “Old Man of the Lake”; A tree stump (Formerly a full sized tree) that’s been bobbing up and down in place for over a century. Crater Lake is the deepest lake in the United States, the second deepest lake in North America (After Great Slave Lake in Canada) and 7th deepest lake in the world. This location whether day or night presents an incredible vista and I hope you enjoy Dave’s image as much as I do. 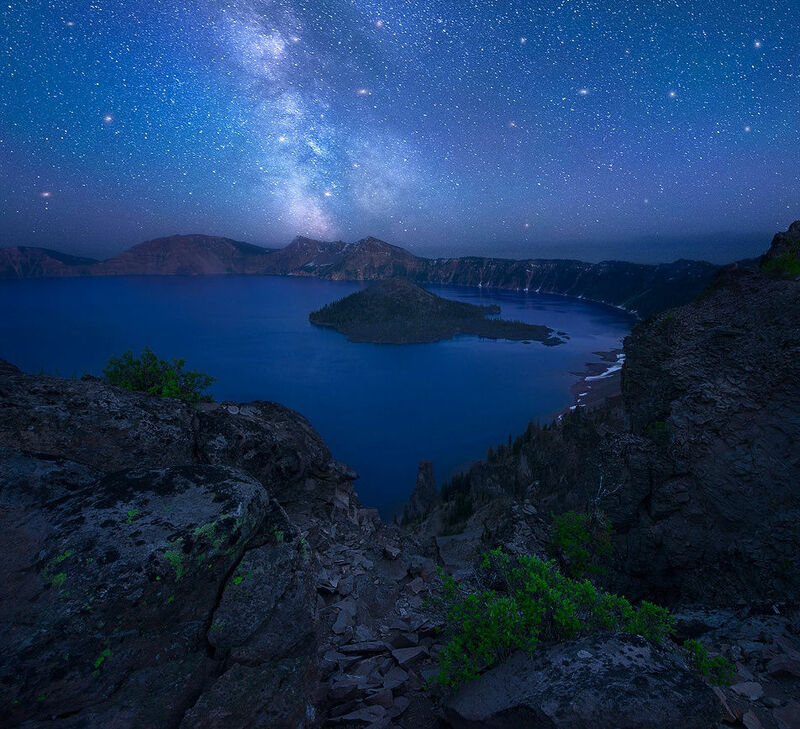 Image | This entry was posted in Astrophotography (Wide Field), Images and tagged Astronomy, Astrophotography, Crater Lake, DanSpace77, Dave Morrow, Galaxy, Milky Way, OR, Oregon, Space. Bookmark the permalink.